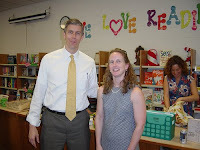 Arne Duncan is President-elect Obama's choice for Secretary of Education. Duncan has administered Chicago's public-school system for the past seven years and is credited with increasing enrollment opportunities, raising test scores, and replacing ineffective teachers. According to the NY Times, "He argued that the nation's schools needed to be held accountable for student progress, but also needed major new investments, new talent and new teacher-training efforts." Duncan's position straddles the two major camps of American educators, and he often strives for compromise between opposing parties. He also helped draft Obama's education platform which emphasizes investments in early childhood education, teacher recruitment, performance-based teacher pay initiatives, training of principals, and the importance of science and math. Are you satisfied with Obama's choice? How do you think Duncan could address the problems facing higher education? Your comments are welcome. Buy the cheap BMW extended warranty.